While Palmeiras prepares for Wednesday’s second leg in the semi-finals against Goiás, your blogger roams through the interior of India, currently on the “golden triangle” route. The day was spent in Agra. 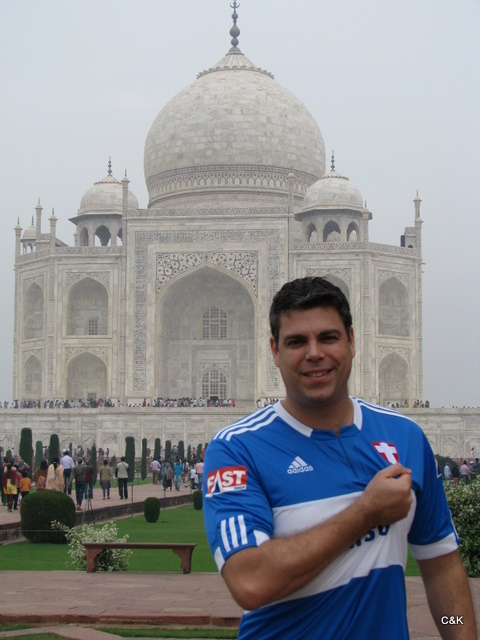 Behold the marvels of the Taj Mahal, an expression of eternal love (in this case, for Palmeiras, naturally)! Have a nice trip…and keep spreading across the whole world all our love for the most glorious green-and-white (“Alviverde”) shirt ever! Thanks, Diego. With a bleeding heart after Wednesday’s defeat, but such is life… Avanti Palestra, always.